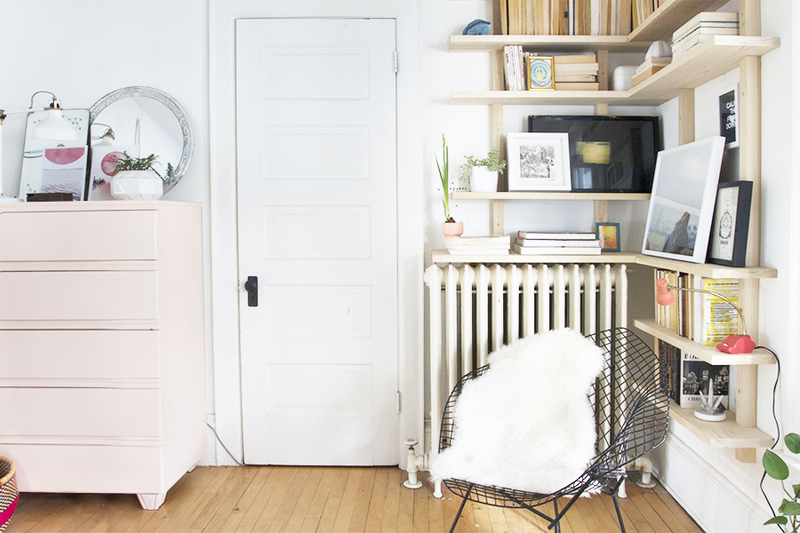 The desire to DIY furniture and storage has single-handedly fueled Pinterest and so many Etsy shops. But who has the time to devote a whole weekend to sawing, sanding, and staining an overly complicated bookcase? Certainly not you, or anyone else who has an active social life. Thankfully, the below 10 DIY storage and furniture projects will not only upgrade your life, but they’ll also have you out the door in less than an hour. None of which will deplete your savings account or space. We’re not sure how stocked you are on old-timey suitcases, but if you happen to be flush, this is the furniture project for you. 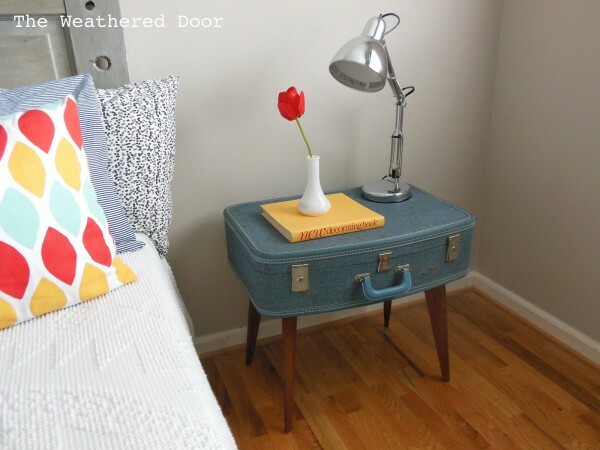 The Weathered Door upcycled a vintage piece of luggage into a gorgeous side table by stripping the legs off a small busted table and screwing them into the bottom of the suitcase. The finished product is pretty nice, and it’s also guaranteed to give you a case of wanderlust every time you walk by. At a few thousand dollars a pop, antique trumeau mirrors are anything but cheap. The good news: You can con your houseguests into thinking you bought one with this faux trumeau hack. All you need is a basic full-length mirror, a piece of plywood, some trim, and a carved piece to serve as an inset (Blue Roof Cabin got one for $3.99). The paint will make the assembled mirror look like the real deal — and it won’t even eat up your weekend or wallet. 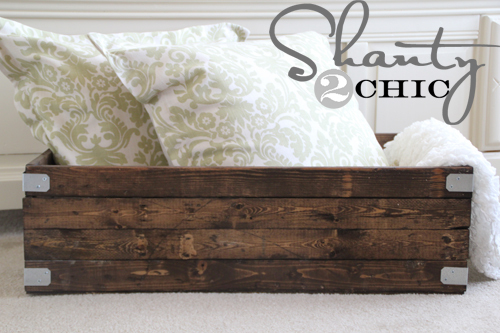 You can shell out a mere $17 for a rustic-looking wood crate via this guide from Shanty 2 Chic. Most of the work involves cutting the wooden boards and nailing them together. And be sure to pick out a nice stain like Rust-Oleum Dark Walnut to give the whole storage crate a Pottery Barn feel. 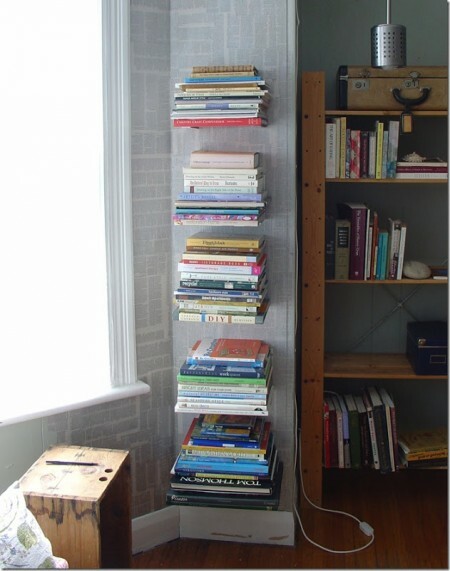 You can find a floating bookshelf at all sorts of stores (Umbra is one of them), but why pay retail bucks when you can easily build the same thing with some L-brackets and a drill? Get the invisible bookshelf instructions from May December Home Accessories, the former home of HappySimple. Remember when you actually had to get photos developed at a Kodak shop? If you don’t, there’s probably a dusty box of old film negatives from ‘97 that’ll jog your memory. 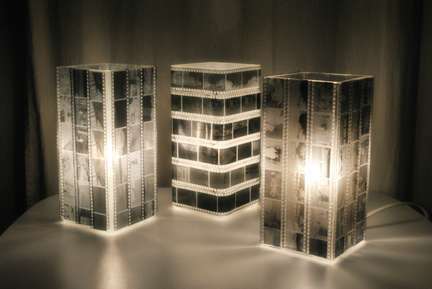 You might as well put those strips to good use —and commemorate a family vacation — with this DIY lamp project. First, take a cheap, boxy table lamp like IKEA’s GRÖNÖ (that’s what this DIY tutorial mastermind chose) and apply a layer of Modge Podge with a foam brush. Next, paste on your preferred negatives, reapply the Modge Podge, and just wait for it to dry. You’ve now got yourself a very artsy, and very retro, light fixture. You may want to give yourself an extra day to map this out to your home, but once you’ve got a gameplan, this custom bookcase is pretty easy to assemble. Deuce Cities Henhouse fitted these shelves into vertical beams with wood screws, and connected the corners with dowels and wood glue. 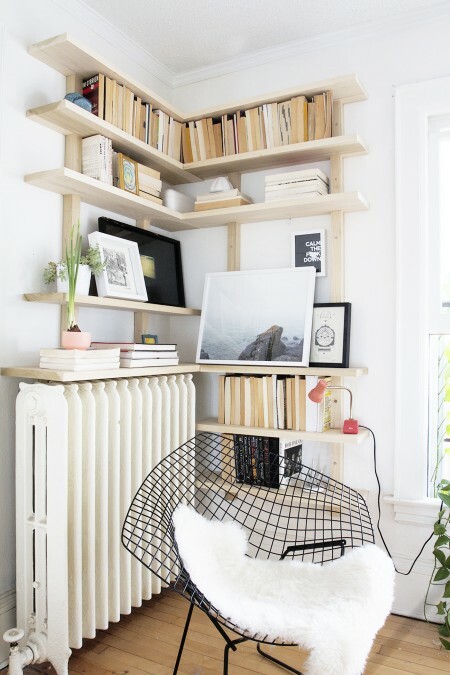 Using these methods, you can build beautiful storage shelves even in a cramped corner (this one had a radiator to negotiate!). At last, your novels, plants, and eccentric photos finally have a home. Not everyone can afford one of those ornate backsplashes you see in every single House Hunters property. 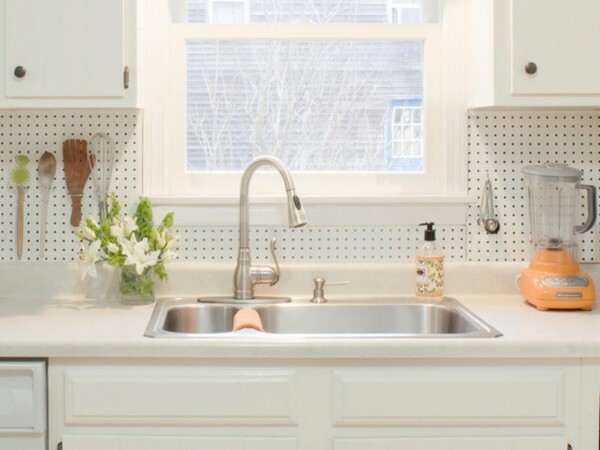 But you can get a functional one on the cheap by installing a pegboard that lets you hang cooking tools and other kitchen supplies from the wall. All it takes is some measuring, cutting, and scanning for studs. If you’d like further guidance, here’s the DIY Network guide. Ideal for your home office, craft room, or kid’s room, this rack of plastic storage bins is mainly powered by recycled disinfectant wipe containers. For this project, you’ll need eight. Once you strip and clean the disinfectant wipe containers, simply stencil on the shape and cut it with some heavy-duty scissors, like kitchen shears. Sand the rough edges, and then set your sights on the wood which will serve as your rack. 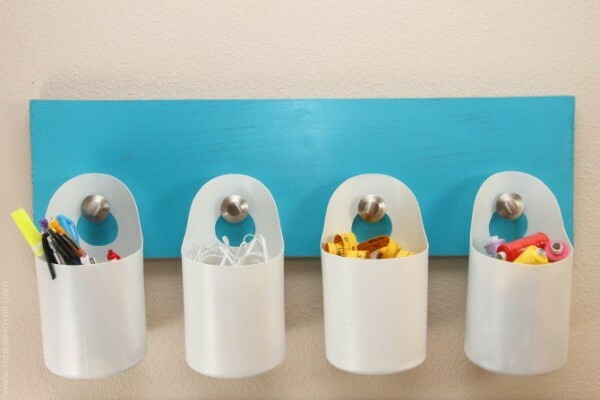 You’ll also need to drill some space for the knobs, attach hooks to the back, and paint it your favorite hue. Once that’s all done, it’s only a matter of attaching the hooks and stuffing your reborn Clorox tubs with whatever cords, pens, or knick-knacks your heart desires. Wish you had the freedom to write notes and doodle on a chalkboard at home, but want it to look a little nicer than the boards from PS 118? 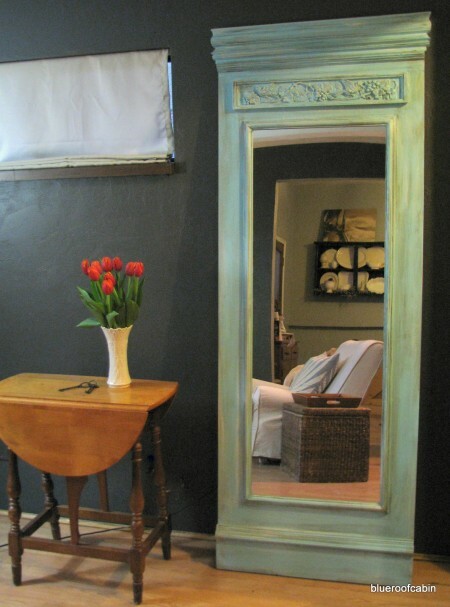 Find a mirror with a pretty frame at a thrift shop, paint the mirror portion with chalkboard paint, and congrats. You’ve completed one of Pinterest’s all-time favorite projects. Need to store some extra soaps, lotions, or craft supplies? The Gilded Hare shows you how to make these bowls using only rope and a hot glue gun. Simply form a base by wrapping and gluing the rope. Then, start building the “walls” by stacking more rope (with more glue for support) on top of the base until you reach your desired height. Add a little extra rope to the inside once you’ve reached the top, so you have a rim, and then get to work on rope bowl #2. 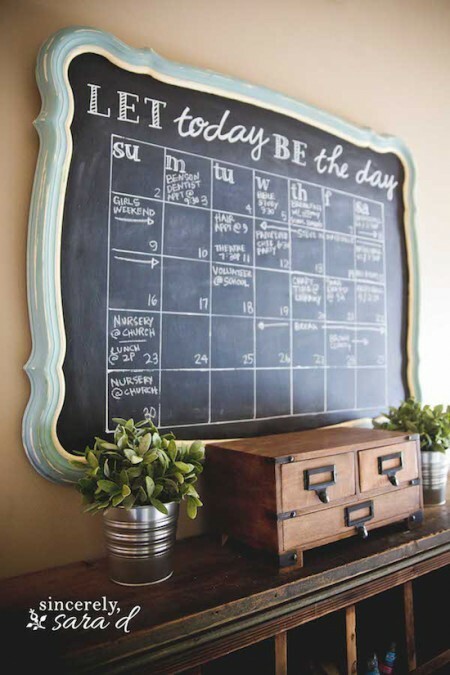 Or any of the other easy DIY storage and furniture ideas on this list. Wish you could store your stuff without actually having to do it yourself? MakeSpace can help! Schedule your free storage pickup now.